We lead off this week’s recommended new releases with The Specials, one of the most electrifying, influential and important bands of all time, who release Encore, their first new music for 37 years. 2019 marks the 40th anniversary of the formation of The Specials and the legendary Two-Tone label in Coventry in 1979, and also marks 10 years since the band reformed to play some of the most vital and joyous live shows in recent memory. 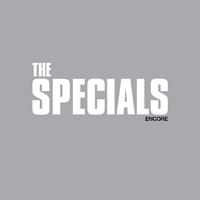 The 10-song Encore was produced by Specials founding members Terry Hall, Lynval Golding and Horace Panter, and is the first time the three have recorded new material together since the band’s 1981 No. 1 single ‘Ghost Town’. Musician and songwriter Andy Burrows and bestselling author Matt Haig release the collaboration Reasons To Stay Alive. With Haig providing lyrics around which Burrows composed music, the duo, who struck up a friendship after ‘meeting’ on Twitter, have spent the past year passing ideas back and forth to create a collection of songs loosely inspired by Haig’s much-loved books, including Reasons To Stay Alive and How To Stop Time. This is a rich, colourful suite of gutsy, classic songwriting full of shades of Elton John, Supertramp and Queen, and with an emotional undercurrent that could not be more relevant in today’s world. Together the pair spin love stories, travel space and time, celebrate soul-mates and venture unflinchingly into the tenderer recesses of the mind. A rare blend of eloquent lyrical craft and explorative musicianship, the songs of Tiny Ruins are etched into the memories of crowds and critics worldwide. Taking influences that cross genre and era, the artistry of Hollie Fullbrook and her band spans delicate folk, lustrous dream-pop and ebullient psychedelia. 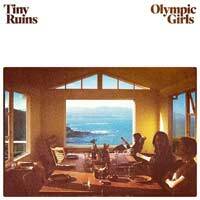 Building on the sparse arrangements and “a novelist’s eye for detail” (Uncut) cultivated over the past several years, the group’s greatly anticipated third album, Olympic Girls, is replete with vital lyricism and galvanising rhythms. Sparkling electric guitar jangles pull against the unique thrum of Fullbrook’s acoustic as the cryptic poetry for which she is known rings out. Unusually for us, we are recommending a reissue this week. When Prefab Sprout’s Paddy McAloon was rendered almost blind and housebound for a period in 1999, he found comfort in listening to short-wave radio transmissions such as chat shows, phone-ins and documentaries. He recorded conversations from these programmes and fragmented them, adding lines from other sources, along with his own words and musical passages and orchestration reminiscent of Claude Debussy and Maurice Ravel, McAloon’s two favourite composers. 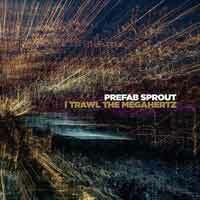 With themes of old memories and time passing, I Trawl The Megahertz is an intensely personal work. Ripples is Ian Brown’s first solo album in 10 years and serves as the long-awaited follow-up to 2009’s My Way. Brown self-produced and wrote a majority of Ripples, as well as creating the artwork and playing most of the instruments heard throughout the record. His sons have co-writing credits on three songs and provided additional instrumental contributions. 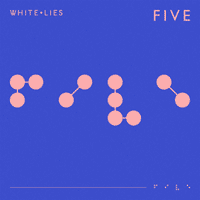 Ripples was recorded in Liverpool and ‘enhanced’ at London’s Abbey Road Studios before undergoing mixing by long-time collaborator Steve Fitzmaurice. Includes the single, ‘First World Problems’. 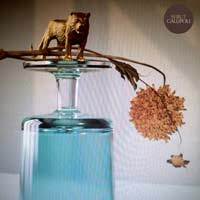 Gallipoli, the fifth album from Beirut, started life when Zach Condon returned to the old Farfisa organ he used to write his first two albums, Gulag Orkestar (2006) and The Flying Club Cup (2007). After stints writing and recording in both New York and Berlin, Zach headed to Puglia in Italy to finish the album. With the remote rural setting “the right amount of isolated”, he spent an intense month of 12- to 16-hour days in the studio with day trips around the coastline. Inspired by the surroundings, Gallipoli is more visceral than Beirut’s more recent albums, alive with an energy that is further enhanced by every creak and groan of their instruments, every detuned note, and all amp buzz and technical malfunction being left in the cracks of the songs.